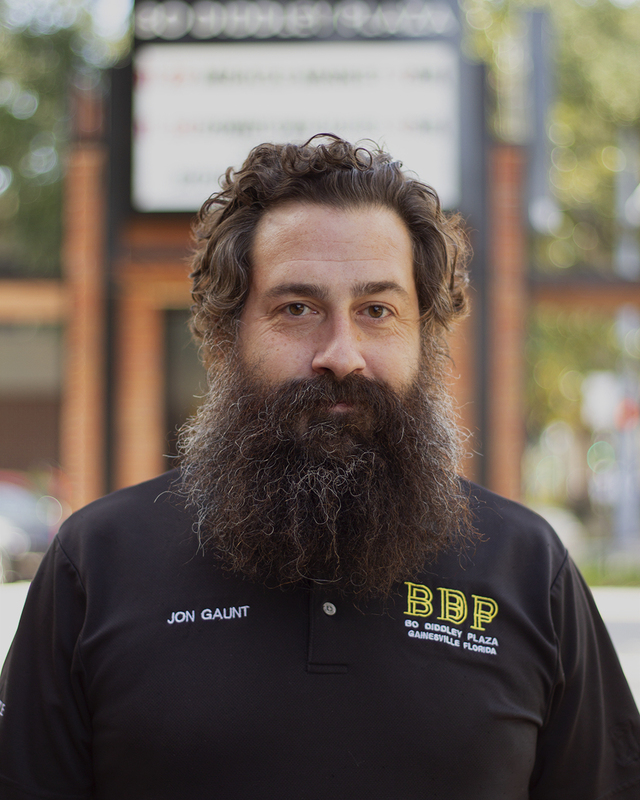 Jon Gaunt hails from Northern Virginia and studied Sociology at James Madison University. He moved to Gainesville in 2001 to be a part of the flourishing independent music and art scene. For the past decade plus, Jon has toured internationally on the violin with various musical groups, primarily Chuck Ragan and the Camaraderie. Jon joined the CRA in 2017 as a Bo Diddley Plaza Ambassador.